A solo blu-ray featuring Kobushi Factory members Wada Sakurako and Hamaura Ayano titled Greeting ~Hamaura Ayano・Wada Sakurako ~ has been announced. The solo blu-ray is available for reservation starting today until May 16th with a release date of June planned. Babyraids JAPAN have released the energetic MV for their 12th single titled Senko Believer. Releasing May 25th, this single will be released in 2 limited editions and a regular edition. ANGERME have released the MV for their upcoming single titled Koi Nara Tokku ni Hajimatteru. It will be released on April 27th alongside Tsugi Tsugi Zoku Zoku and Itoshima Distance. The Tsugi Tsugi Zoku Zoku MV and the Itoshima Distance MV have already been revealed. Morning Musume ’16 have revealed the MV for The Vision. The track is part of their upcoming single alongside Utakata Saturday and Tokyo to Iu Katasumi which will be released on May 11th. The MV for Tokyo to Iu Katasumi has already been released. Shuukan Idol – Weekly Top 5 Start! In between all the idol goodness we enjoy throughout the week there are some stories that you might have missed. It could be MVs, graduations, or just updates on our favorite idols or groups. Whatever it might be, we wanted to highlight what our personal 5 top headlines for the week are to keep you up to date. This will also serve as a special section for us to talk about site updates and future plans that will help bring you better news about your favorite idols and groups. It’s also the perfect place to hang out and talk about your favorite happenings of the week. Up Up Girls have announced that they will hold a one-man performance at Nippon Budokan. The concert will take place on November 8th. Kyary Pamyu Pamyu will be forming part of this year’s J-POP SUMMIT 2016. Taking place in San Francisco, this event is among the world’s biggest in terms of pop culture. Her concert will take place on July 22nd. 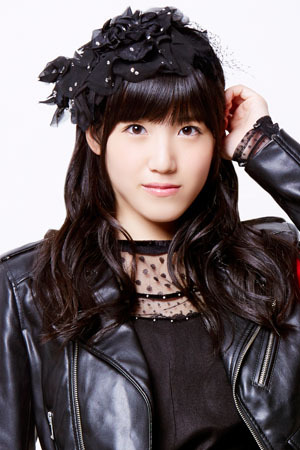 SKE48 member Takayanagi Akane announced that she had undergone surgery to remove vocal cord nodules. For those who might know what they are, nodules are basically growths on the vocal cord that are benign (meaning they aren’t harmful). According to her, the nodules developed about a year ago and were causing shortness of breath alongside a hoarse voice. The surgery took place April 21st. Idols depend on their voices so it’s not surprising to see that problems might happen from time to time. Thankfully, the surgery was a success and she is able to talk, but it seems like it might take time until she is fully recovered. Regardless, we’re looking forward to seeing her back on stage ready to sing soon! Rev. from DVL has announced that Takahashi Nanami and Kouya Honami will be graduating from the group. Their graduation is set for May 28th with a special concert in Fukuoka planned. Takahashi will be leaving the group due to complications with her scoliosis, and she has been advised to stop activities with the group as a result. Naturally, the life of an idol wears out the body so her decision is expected for her health. Kouya will be graduating due to her wanting to continue her education in college. It might be a common reason for wanting to leave, but education is always something that holds a priority. Like always, graduations are sad for fans but it seems like both members have important reasons to leave the group. We wish both Takahashi Nanami and Kouya Honami the best of luck!